Born in 1940, Ray St. Germain started playing music and singing while growing up in St. Vital, a suburb in Winnipeg, Manitoba. He started out on accordion but switched over to guitar as a teenager because it looked a little silly jumping all over the stage with an accordion. He began performing all over Canada when he was still a teenager, earning the nickname "Winnipeg's Elvis", traveling with Hal Lone Pine, Betty Cody and their son Jazz Legend Lenny Breau. His career hasn't really let up since. 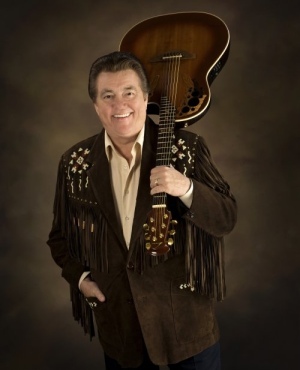 During that time, he's performed on the bill with such greats as Johnny Cash, Porter Wagoner, and Johnny Horton. His music has taken him around the world, letting him travel to places like Germany, Israel and Cyprus, and across Canada. He clearly loves the performer's life and hasn't slowed down a bit. 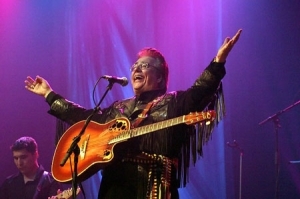 Ray has been seen nationally on CBC, Global, APTN and CKY as a performer, television producer/singer/host. Ray was also the radio host/program manager at NCI-fm. Ray St. Germain is an award winning Recording artist, and Stage show performer/producer. 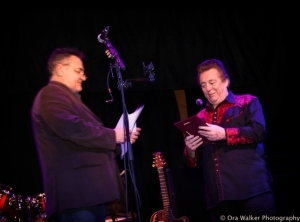 Ray recently added author to his repertoire as he wrote his autobiography "I Wanted to be Elvis, so What was I doing in Moose Jaw?" Ray has released his latest album entitled "Life Ain't Hard" and enjoys performing stage shows across Canada. Ray St. Germain was first heard on the CJOB Western Hour as a regular guest. As Ray toured with Hal Lone Pine and Betty Cody and their son Lenny Breau they were featured on CKY Caravan's weekly radio show as they traveled around the province. CKY radio stated that Ray St. Germain's "She's a Square" was the first local rock n'roll 45 they ever played. That was followed by "Raise a Ruckus" released during Ray's time as host/singer of CBC TV's Music Hop. Ray hosted the Country Kings on CKDM Dauphin Radio and later "Afternoon from Winnipeg" on CBC Radio with Murray Parker in 1966. After many television series and tours Ray returned to radio this time to NCI-FM where he hosted the Drive Home Show for eight years and was also the Program Manager. Metis Hour with Naomi Clark: Ray continues to host the weekly Saturday morning show the METIS HOUR X2 on the NCI-FM network with co-host Naomi Clark. A popular show presented by the Manitoba Metis Federation President David Chartrand. Ray also co-hosts the 'Automotive Hotline with Sid Minuk', Saturday afternoons on the NCI-FM Radio Network.